Product #17427 | SKU 169600 | 0.0 (no ratings yet) Thanks for your rating! The Wooden Camera MFT to PL Adapter is an MFT (Micro Four-Thirds) lens mount adapter that enables mounting of all PL mount lenses onto the Blackmagic Design Pocket Cinema Camera. 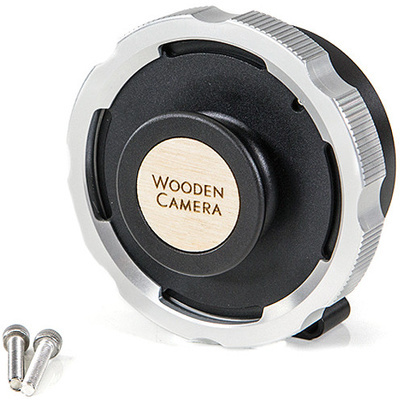 The adapter features a foot for attaching to a tripod, thus directly eliminating the strain on the camera. The foot can also be attached directly to a Pocket Cage (sold separately) using the 2 included screws. The adapter also comes with a PL Cap to prevent dust from entering the sensor area when the lens is not attached.